This article shows how to publish an OData feed of WordPress data by creating a WCF Service Application. The CData ADO.NET Provider for WordPress enables you to use the Windows Communication Foundation (WCF) framework to rapidly develop service-oriented applications that provide WordPress data to OData consumers. 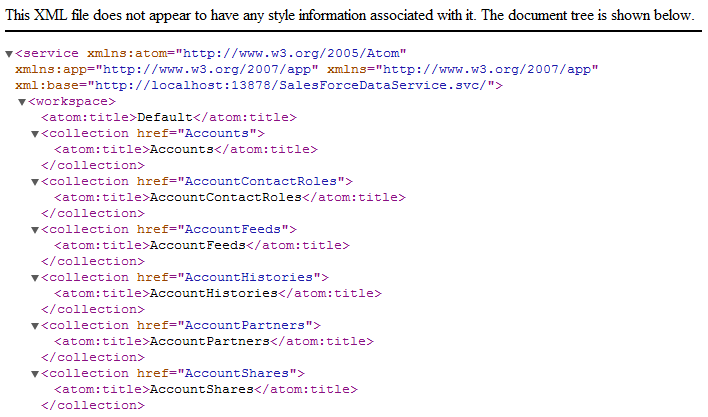 This article shows how to create an entity data model to provide the underlying connectivity to the WordPress data, as well as how to create a WCF Data Service to expose the OData service. 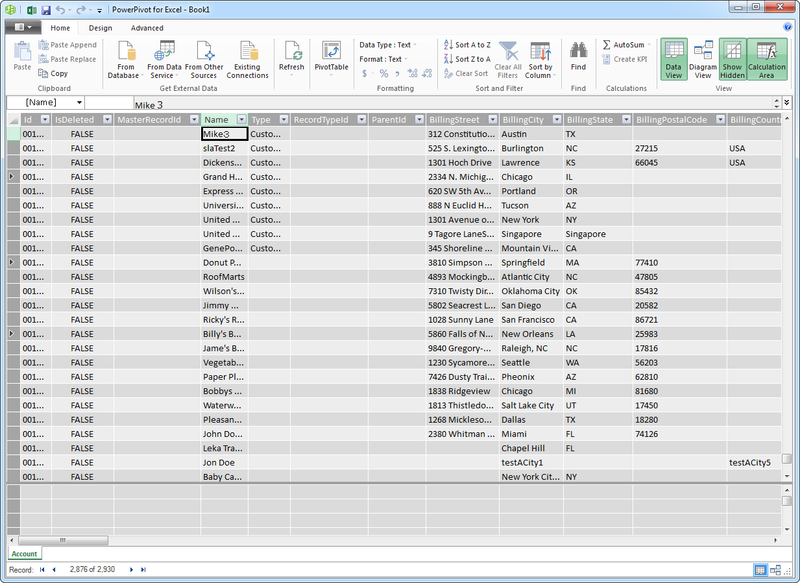 You can then consume the feed with any OData client, for example, Power Pivot or an application that uses the CData ADO.NET Provider for OData. 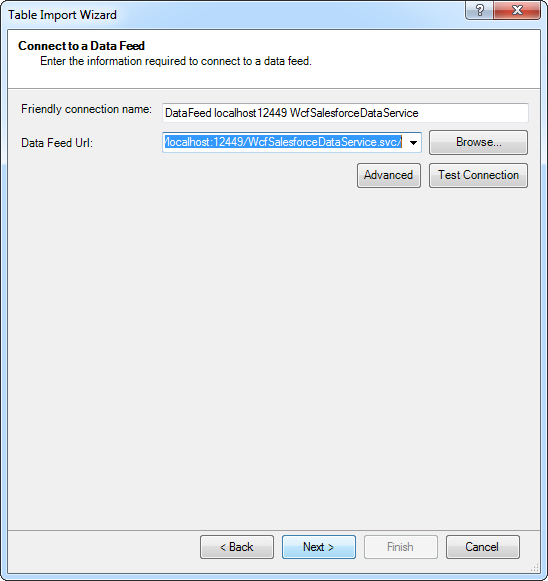 Follow the steps below to create a WCF service application that will provide connectivity to WordPress data via OData. 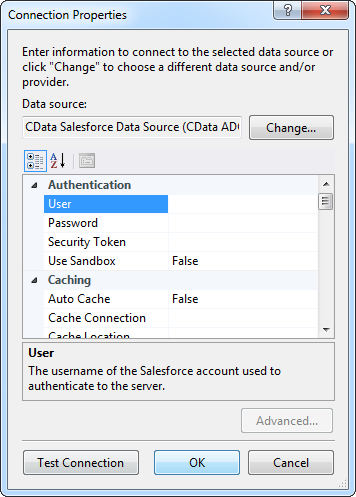 In the Connection properties dialog, select the CData WordPress Data Source and enter the necessary credentials. 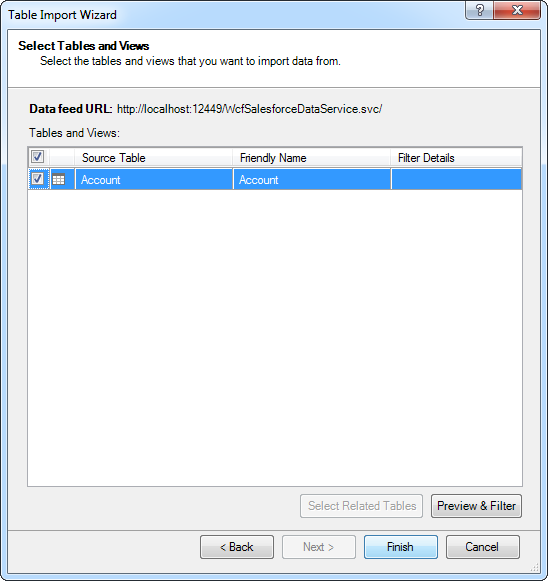 Select WordPress tables and views that you want OData clients to access. 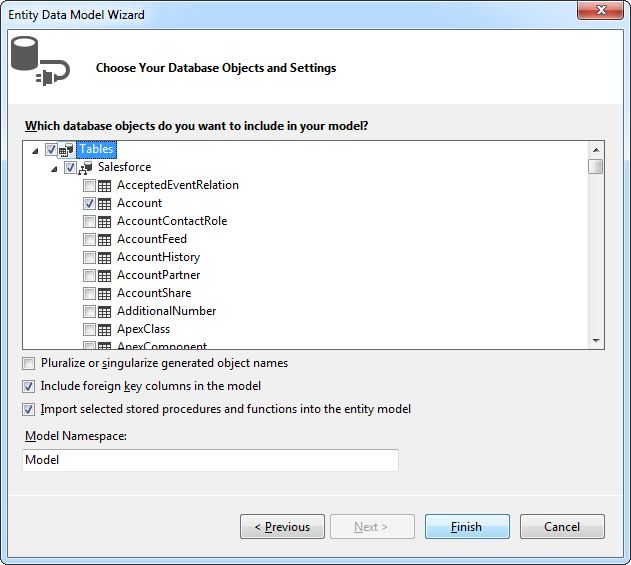 In the resulting Table Import Wizard, enter the OData URL. For example, http://localhost:12449/WordPressDataService.svc/.